Tiny houses. Yep, while travelling overseas for a big trip is all well and fun, spontaneous road trips are definitely where the wanderlust is at. And to really put the cherry on your local getaway, make a tiny house the treasure trove at the end of your drive. 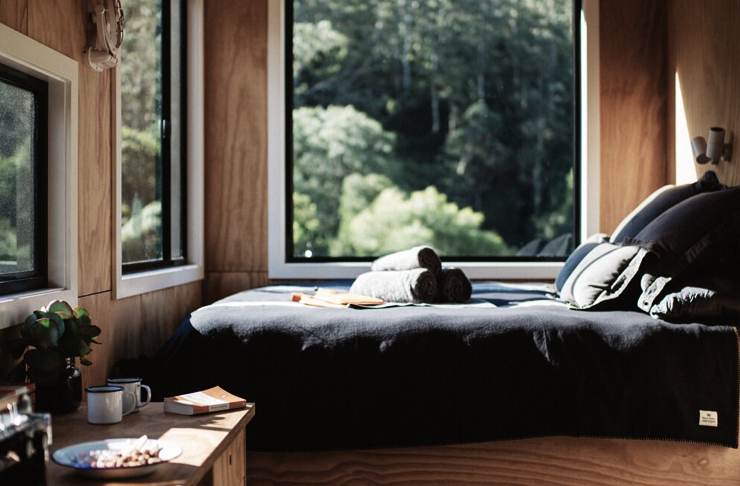 NSW is speckled with a heap of tiny nooks for an off-the-grid getaway. Fully stocked with kitchens, bathrooms, beds and seamless, uninterrupted views to boot, these lil’ guys (some eco-friendly) are the perfect treat to any impromptu long weekend plans. 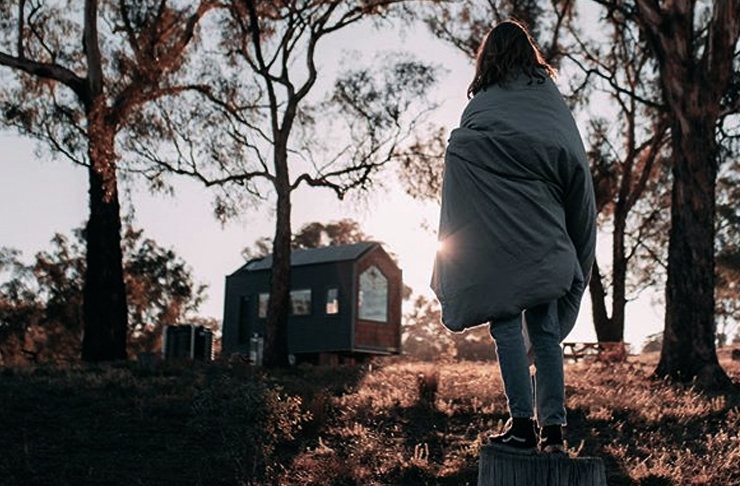 Here are all the best tiny houses in NSW. 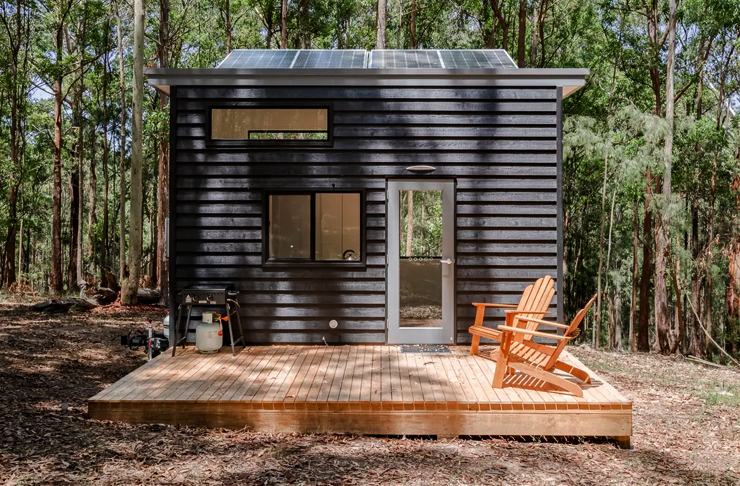 For a beautiful forest location, you can’t go wrong with this eco-friendly tiny house located within Lake Macquarie. Bring your own food and drinks and the hosts will have everything else provided. And yes, this is completely off-the-grid, with no Wi-Fi but only one USB charger available. Created by In2thewild, head here for more little gems by these guys. Trust us—this one is worth the drive. Located on a scenic hill with 360-degree views of the Murrumbidgee river flats and the Kimo Valley, expect no neighbours around you for this one. JR’s Eco-Hut is totally secluded and features a stunning shower with one killer view plus, breakfast is included here. Ready yourself for an open fire pit to toast your marshmallows at night. 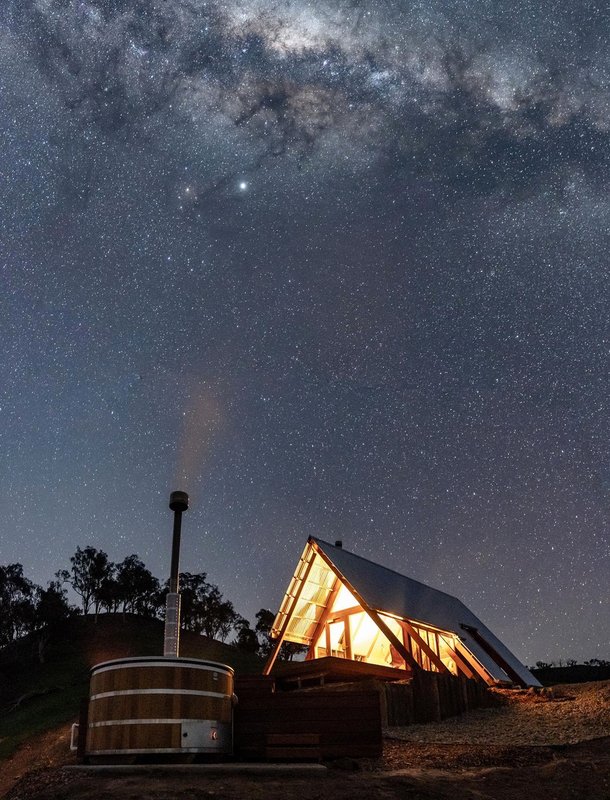 You’ll be sitting under the stars with a spectacular view of the surrounding areas. Big Tiny is a loft-style gem planted on five acres with the Blue Mountains as its backdrop. And, big bonus, if you’re feeling peckish in the afternoon, just ask for a cheese platter and wine and it shall appear. 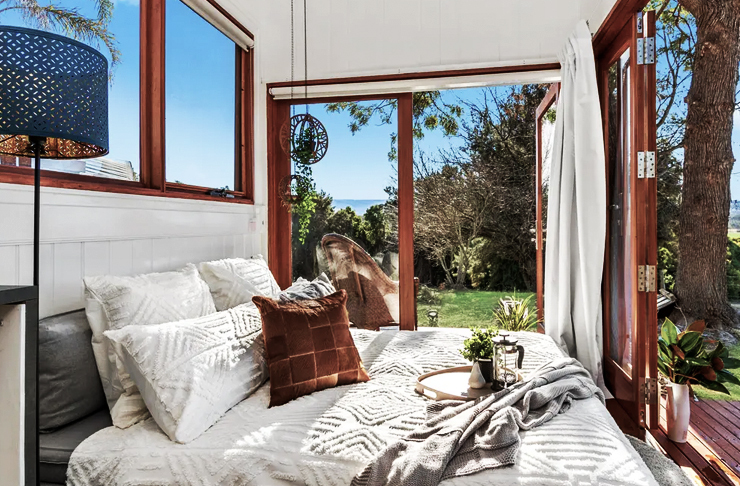 This tiny house is in the best possible location—the countryside of NSW. Waking up to the tranquil sounds of nature, this is your ultimate escape from the city. Kindled overlooks a large river and 250 acres of gum-tree conservation. You’ll spot some kangaroos, wombats and native birds just outside of your retreat. Brought to us by the Grant twins, Coralie is just one of many tiny houses part of the Unyoked clan. This gem is tucked at the bottom of its own private valley facing an epic forested mountain. Watch out for wondering wombats. Coralie includes bedding, towels, a picnic table, hot shower, composting toilet, gas stove, bar fridge and solar power. And here’s your complete guide to Gerringong Falls.